Alfred and Emily Willoughby often came to the Santa Cruz Beach Boardwalk to visit their daughter Esther Willoughby Harris and her husband John Ralph Harris and their precious granddaughter in Santa Cruz. 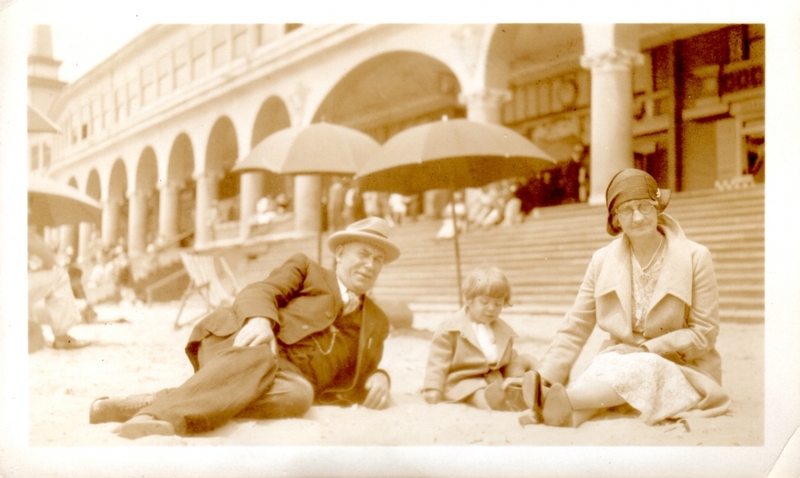 On a wonderful visit in July 1931, they took their granddaughter Una Marie to the Boardwalk. Generations of our family have enjoyed the Boardwalk and Santa Cruz. As a teenager, my own daughter Kat Shattuck (4th generation) was an ASL interpreter for "Free Friday Night Bands on the Beach" almost every Friday night. We are grateful for the years of happy memories at the Santa Cruz Beach Boardwalk! "Under the Boardwalk"